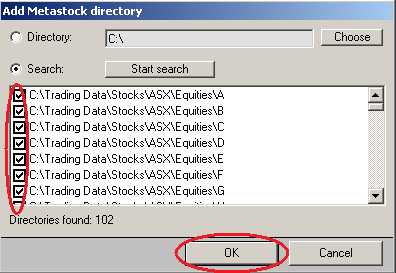 How do I configure Fibotrader to view more than three years of history? Where do I obtain more information about Fibotrader? 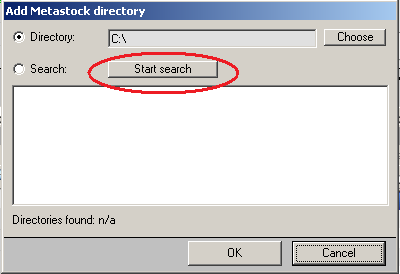 Fibotrader can read in data from Premium Data in the "MetaStock" file format. To navigate to the folder click the magnifying glass symbol, then catalog then select the folder you desire. You can then select the security from the drop-down list. You may also find it handy to use the "List manager" to add the folder(s) you desire to make it easy to navigate to different symbols. Click Chart manager -> preferences -> chart, select the Default values tab, and change the length in "Length of EOD Charts", then click OK.
Go to the Fibotrader Web site.